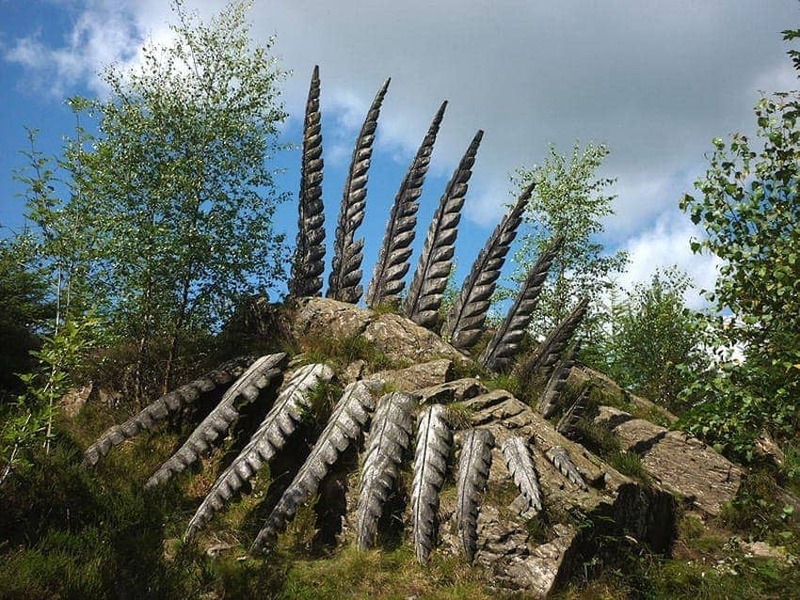 Click on each of the gallery images below to find out more about these Great British Outdoor Art & Sculpture entries. 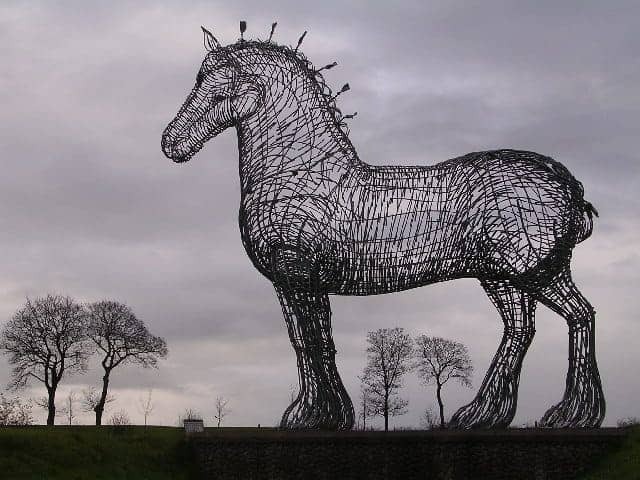 Outdoor art and sculpture is the great leveller when it comes to art criticism and appreciation. 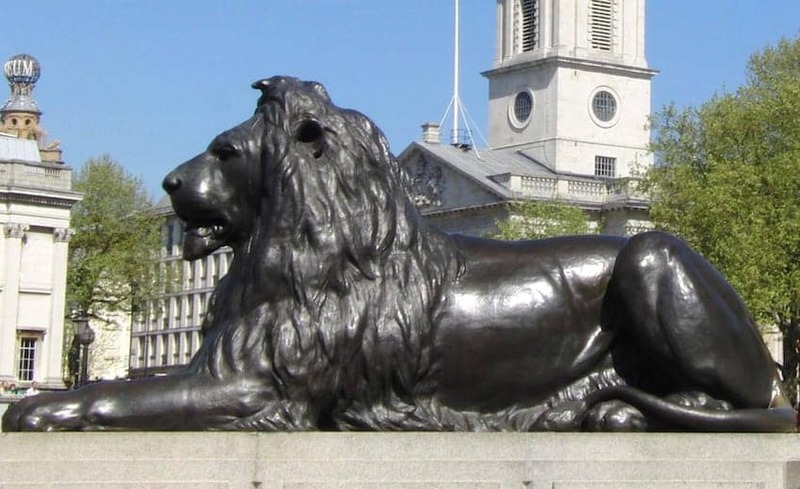 The very accessibility of outdoor art, uninhibited by constraints of form in an art gallery and the rarefied atmosphere that often accompanies it, means it can be big and brash, extraordinary, ground breaking, meaningful and popular all at the same time. 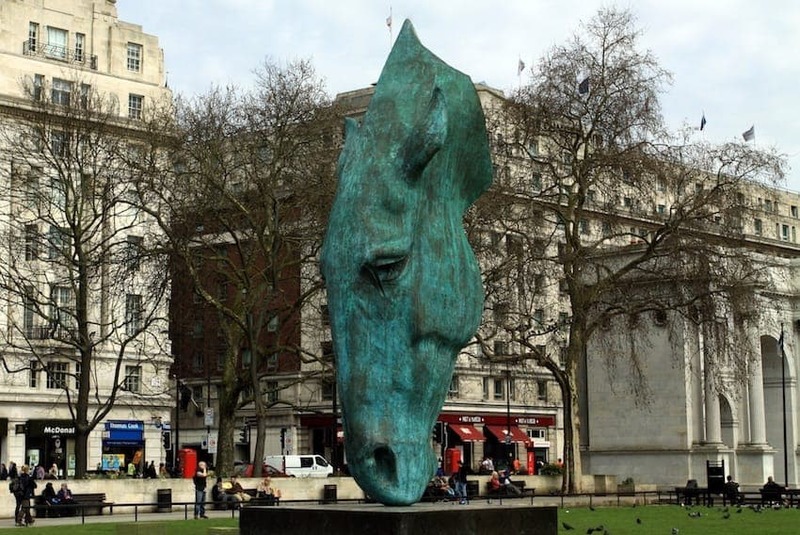 A relatively new art form, the presentation of art in outdoor environments lend artists a new dimension to work with, that of context. 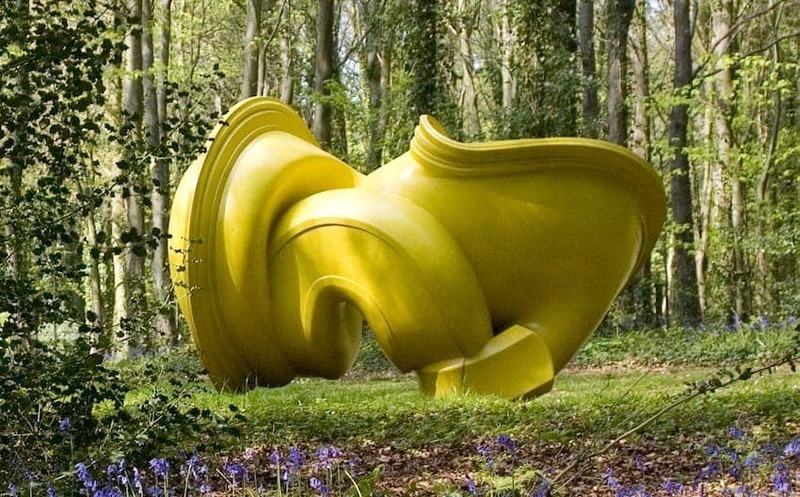 Whether at the side of a busy motorway or in the secluded setting of woodlands or gardens, these pieces of art connect with their audience through the environment they sit in. The materials they use respond to the changing weather and atmospheric conditions and the artist has to foresee the effects of these external influences on their work as part of their creative process. 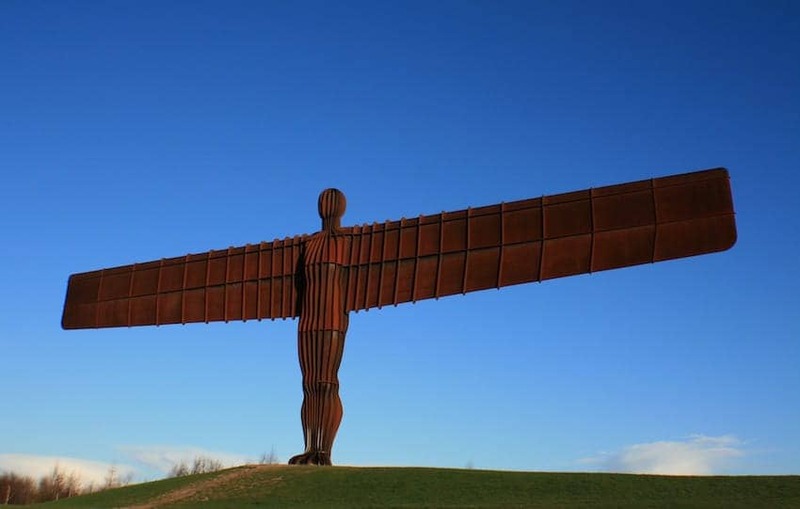 One of the most recognisable individual pieces is Angel of The North by Anthony Gormley, a name that has become synonymous with large scale public sculpture in Britain. 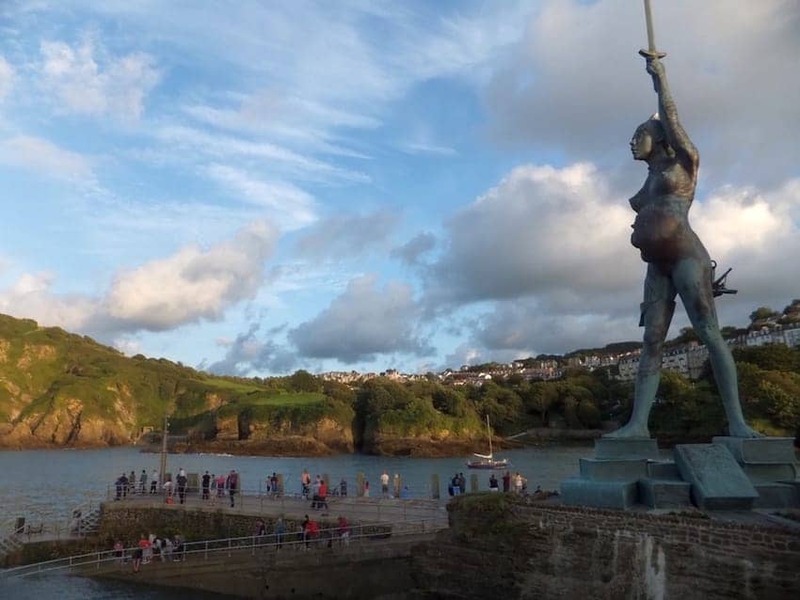 With an annual audience of millions, it is probably the most seen sculpture in the British Isles and with its arresting scale and simplicity it truly justifies the ‘iconic’ tag. 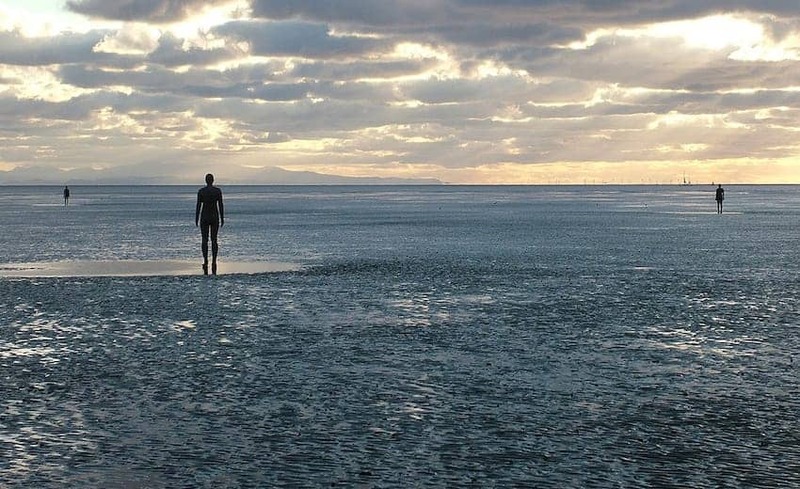 Equally audacious is Gormley’s ‘Another Place’, this time in a watery coastal setting. 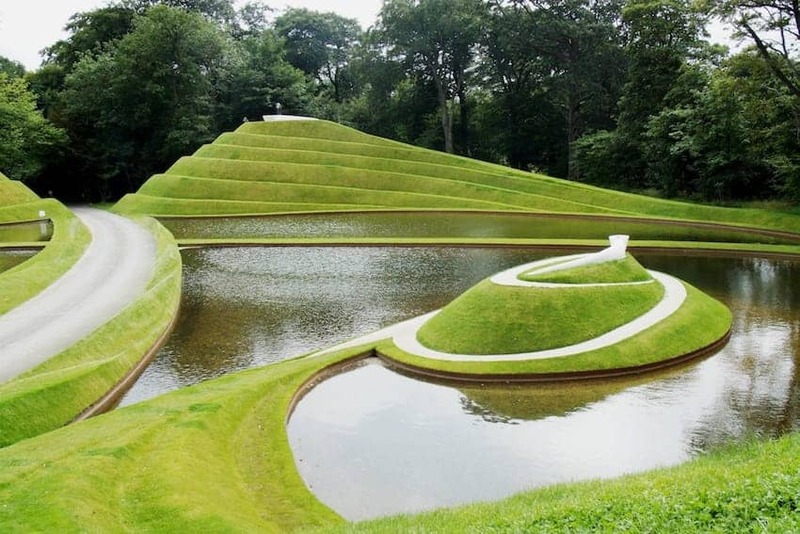 Being fixtures in the landscape, it is not necessary for a special visit to be made just to view these installations. Happening upon them accidentally is just as much part of the experience. 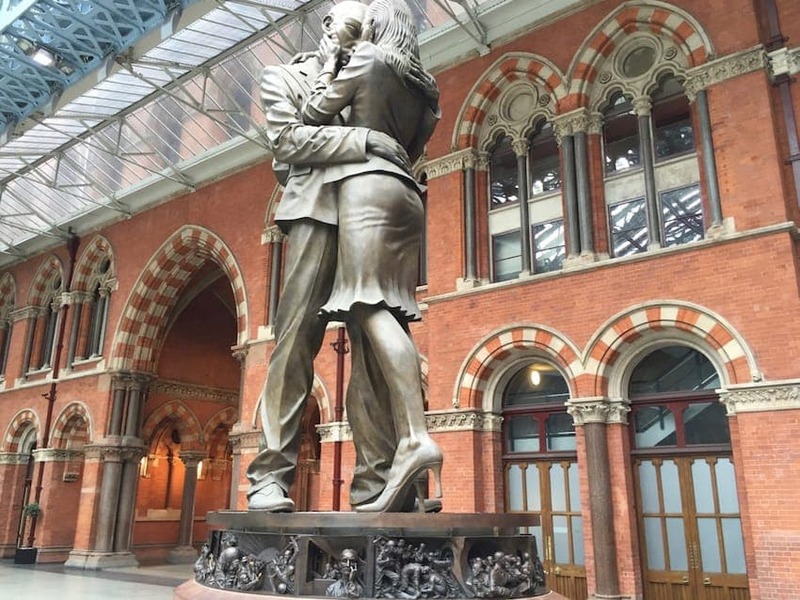 Outdoor artworks are all the richer for the symbolism they represent when the location provides that context. 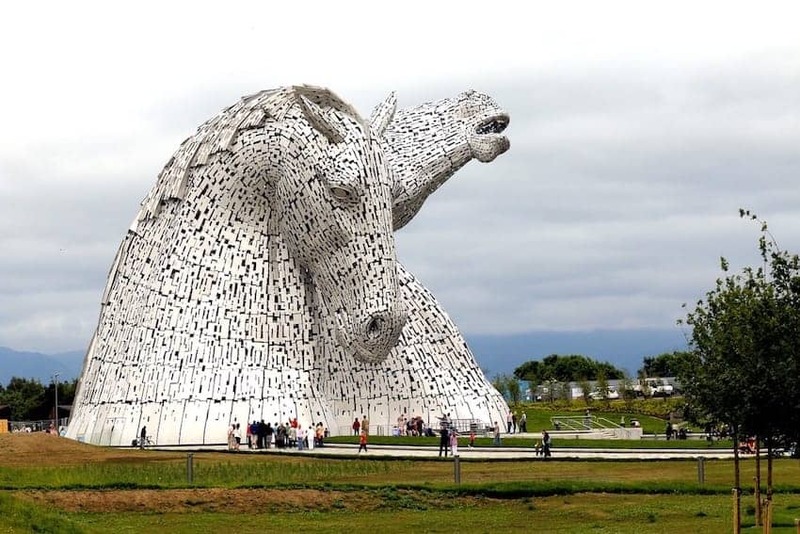 Both The Kelpies and Heavy Horse by Andy Scott are monuments to horse-powered heritage across Scotland where they are on permanent display. 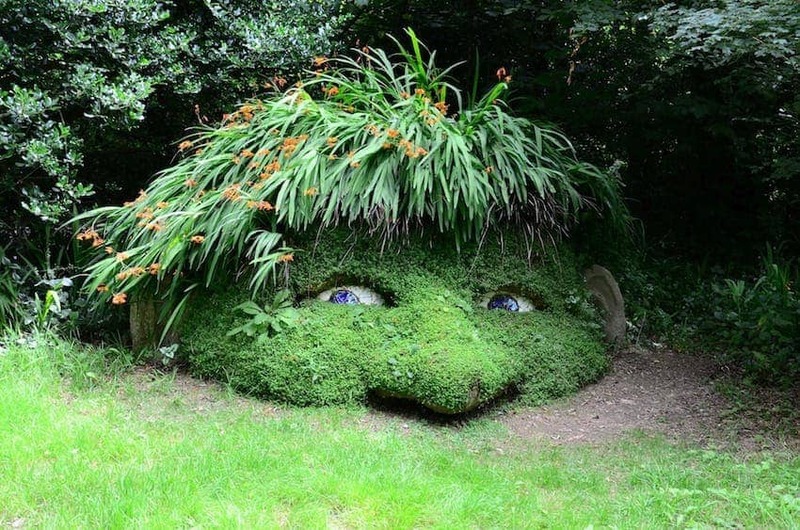 Unlike art and sculpture presented in gallery settings, outdoor works on permanent display are also usually free from the constraints of copyright infringement rules, adding a new dimension to how the viewer can choose to appreciate them. Seasonally changing landscape settings and impressive scale make them a photographer’s dream, for capturing images and in turn generating yet new art. 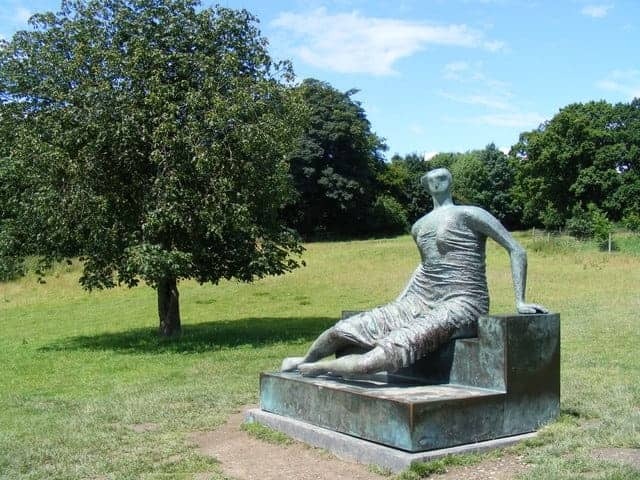 Sculpture parks are a way of seeing multiple works of outdoor art with the added benefit for families that children of all ages can also access art in a conducive and exciting setting. Jupiter Artlands, Yorkshire Sculpture Park and Grizedale Forest each have unique landscapes for setting their artwork with the added advantage that return visits will reveal something new with the patina of time and the changing make up of the collections. 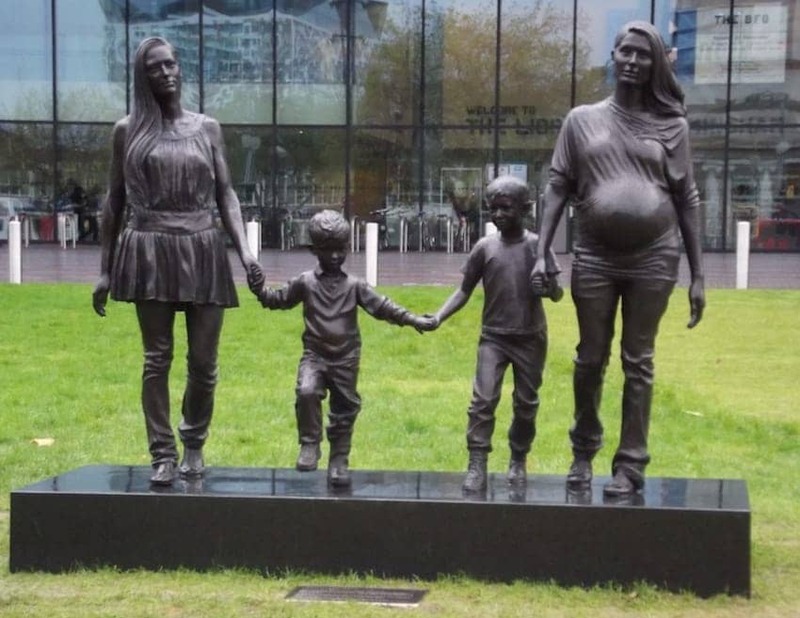 Urban outdoor sculpture is often the most controversial, with large scale pieces on display in city settings, there are sure to be as many opinions as there are people to have them! We have included several installations in the gallery above that have provoked such controversy. 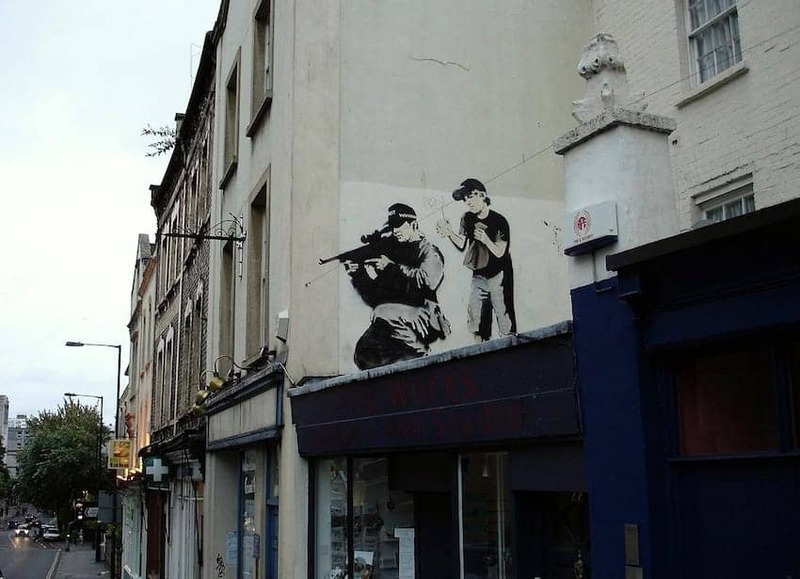 Another development of urban art are street paintings, which have taken the prominent settings and scale employed by graffiti artists and used them to make stylized visual political commentary. 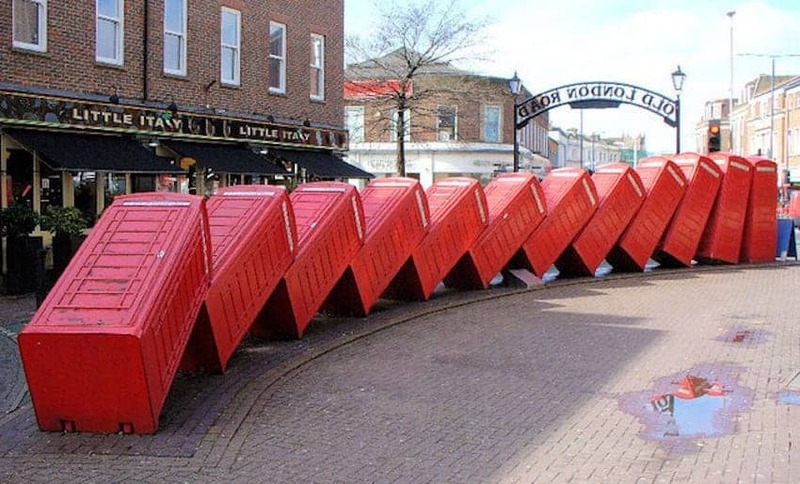 Banksy, the anonymous artist behind the original Bristol street art scene, has achieved a global following for the dark humour and hard hitting messages in his prolific and distinctive work. 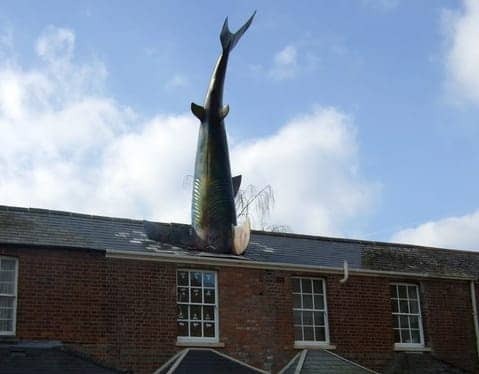 It would not be Britain if there was no humour of an eccentric kind involved, and so it is almost inevitable that an oversized shark embedded in a roof on a residential street would make it into our gallery selection! 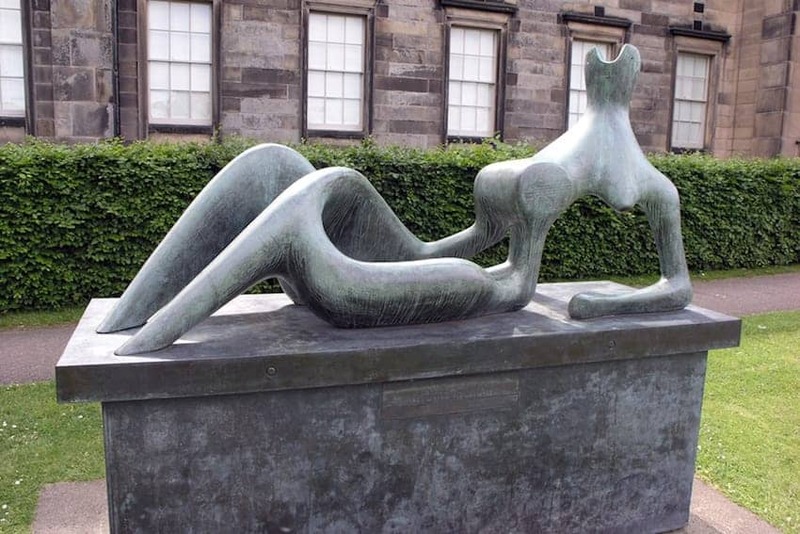 It would be a significant omission to leave out the celebrated and critically acclaimed great sculptors Henry Moore and Barbara Hepworth, renowned the world over for their prolific and groundbreaking work. 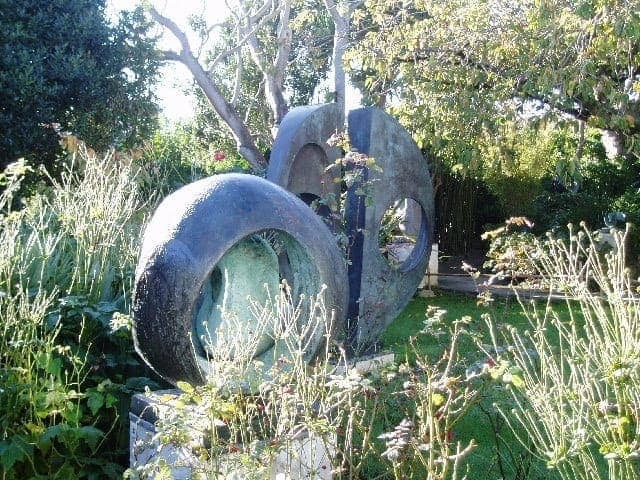 Both have works on show at the Yorkshire Sculpture Park and Hepworth’s work is also on display in a dedicated Hepworth museum and garden in Cornwall. 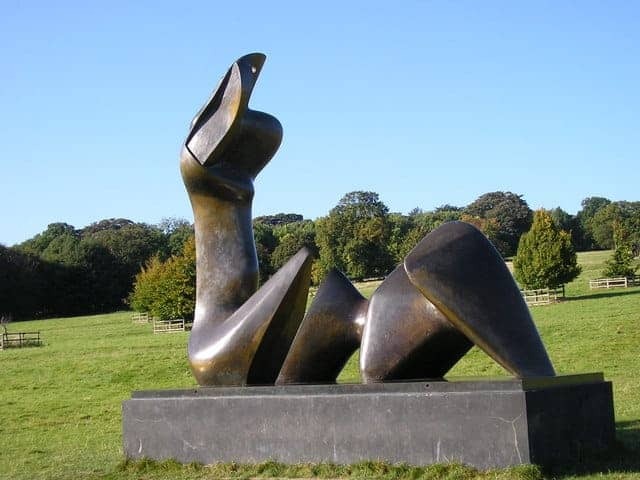 Please browse our gallery of great British Outdoor Art and Sculpture above for inspiration and enjoyment, and click on each of the images to find more useful information and links to help you appreciate or visit each one.